China is focusing on its innovation-driven development strategy, and will maintain the high level of cooperation in the field of high-tech industry with Russia, senior officials said during the second China-Russian Innovation Talk on Tuesday in Moscow. 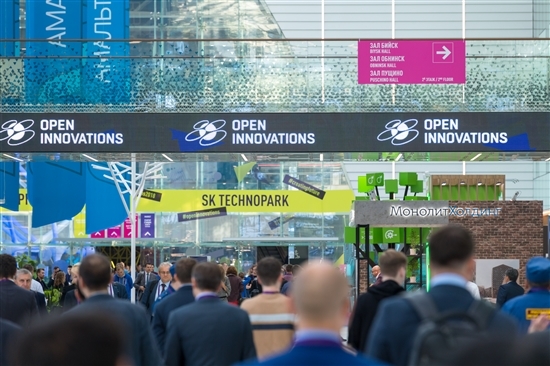 The Skolkovo Technopark has close links with its counterparts in Beijing, Xi'an and Chengdu. Photo: Sk.ru. The talk, established in 2017, aims at expanding cooperation among medium and small-sized companies and capital markets in both countries. Zhang Jianguo, deputy minister of science and technology of China, said the partnership on technological innovation is a key part of the Sino-Russian comprehensive strategic partnership of coordination, as well as the main component in practical cooperation between China's Belt and Road Initiative and Russia's Eurasian Economic Union. The full article can be read at China Daily, where it was first published.